Boracay has been consistently voted as one of the best islands and best beaches in the world in the past years. It is known around the globe as one of the must-see places in Asia. Boracay has been consistently voted as one of the best islands and best beaches in the world in the past years. It is known around the globe as one of the must-see places in Asia. With its clear blue waters and fine, white sand, visitors will surely forget the hustle and bustle of the busy metropolis once they arrive here. Who says you have to stay in the water to enjoy the beauty of Boracay? Go parasailing and appreciate the blissful wonder of the island from up above! Get strapped to a harness attached to a parachute and let the boat and the wind do their thing. Mind you, this is an exhilarating ride not designed for the faint-hearted but if you just get through the initial fear, we promise you, nothing beats feeling like you’re flying. Since Boracay is not really considered a surf spot of the Philippines, the steady and calm waters of the island is perfect for yet another must-try activity- stand up paddling. It’s all in the name; instead of paddling around sitting down on a boat, you will have to harness amazing balance because you will be paddling standing up. According to locals, the best time to do this is when the sun is just about to set so you have an amazing view while feeling like a water adventurer. Now if you’re looking for a group, laugh-inducing activity, fly fishing is the one for you. Enjoy Boracay waters with your friends by riding on a huge inflatable fish that’s being pulled by a speed boat. You may think it’s easy but the pace of the boat is enough to launch the inflatable fish in the air. It’s going to be a fun, bumpy, and bouncy ride. Can you imagine yourself jumping from a cliff and into the pristine waters of Boracay? If the very thought excites you, then you should include cliff diving in your beach itinerary. The idea is very simple - you go to a cliff with planks and jump into the big blue lagoon without so much a life vest or harness. It’s the perfect activity for adrenaline junkies looking to get their blood pumping. With Boracay looking like a paradise that’s pulled right out of a fairytale, why not make it come full circle by enrolling in mermaid swimming classes! Whether you want to channel your inner Ariel or feel like you want to be part of Atlantis, this whimsical activity will surely make many Instagram-worthy memories. 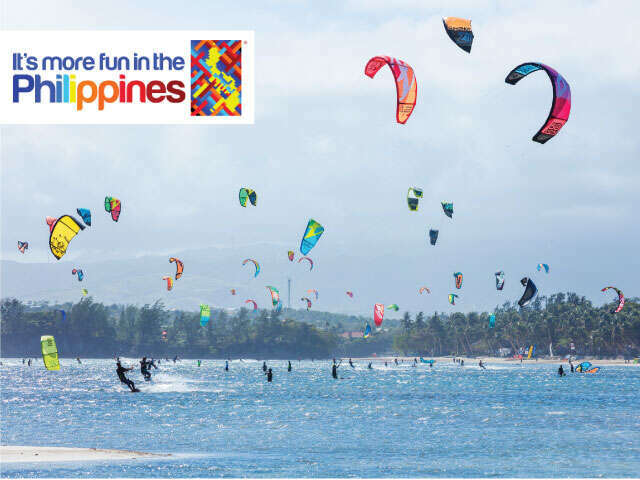 These are just a few fun ways to add more thrills to your Boracay vacation. Take home epic photos to share to your friends and families.